I’ve got family in the Austin area so I’m very happy to see that the hurricane will be well to the east of them, but it looks like Houston will be getting more than before. 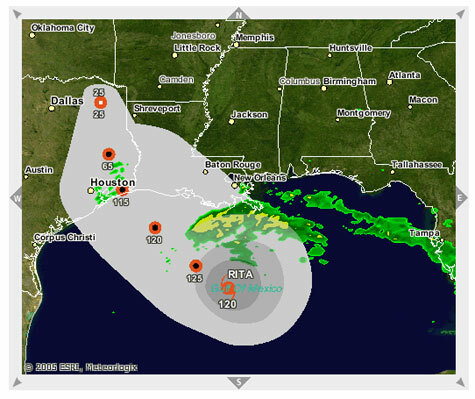 The ESRI Hurricane Disaster Viewer is a great tool to keep up to date on the path. The live web services that ESRI is using is wonderful, I can’t imagine how all this will be when ArcExplorer is out and ESRI starts leveraging all this data inside ArcWeb.